Tanit Lopez, born in Amsterdam in 1969, has been brought up in France, graduated at the University of Amsterdam in 1993 in European Studies, with a thesis on ‘The competitiveness of the green house sector in Almeria’. In 1994 she had her Certificate for Interpreter Dutch/ French. She worked as a translator and teacher of the Dutch Language for foreigners, and further on at NTC school in Chania. She started working as a tour leader in 2003 in various languages for various tour operators and is now specialized in walking tours. She has a great affinity with the Greek culture and way of living. 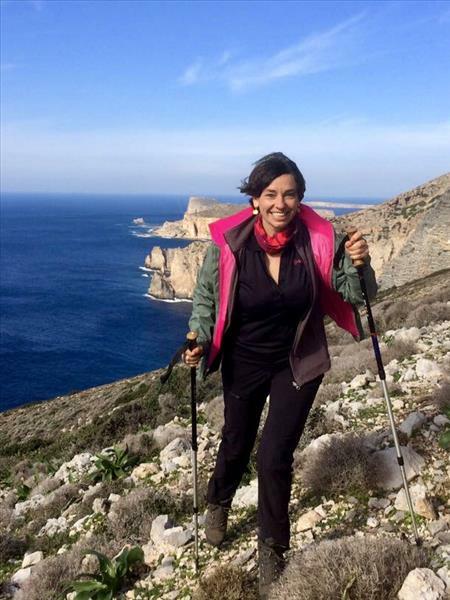 She likes to be close to the nature and developed a big interest in the endemic plants of Crete and its local recipes. With enthusiasm and passion for her work, she shares her knowledge and experience with others. Grown up bi-lingual, she speaks fluently French and Dutch, she became a real polyglot, studied Italian and Spanish at the University of Amsterdam and speaks also fluently English and Greek and has a satisfactory level in German.